Would You Buy A Self Driving Car? Who among us wouldn’t love a self-driving car with some cherished number plates? The idea of being able to sleep or catch up on work while commuting is appealing, and the idea of having your car drop you off at your destination and park itself is even more so. Human drivers are responsible for thousands of motor vehicle accidents each year, many of which cause injury, damage and death. One of the biggest advantages of a self-driving car is that it takes human error out of the equation- in this article, you’ll learn more about this automotive technology and how it can impact your life. The self-driving car is a lot closer to being widely available, thanks to two announcements. Once came from the US Army, which uses driverless vehicles to guard a Nevada nuclear waste site and military installation. 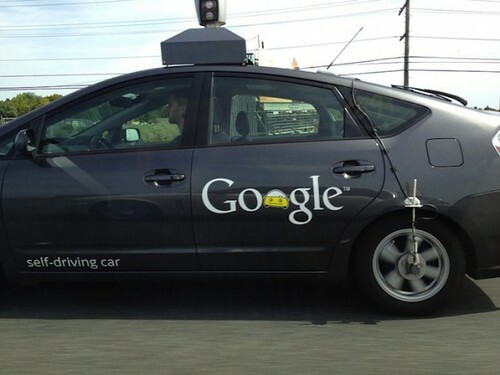 The other comes from tech giant Google, which recently said that it had developed a fleet of driverless cars which have traveled over 100,000 miles in real conditions. But, what makes them drive themselves? Technically, any car could be changed to an auto-drive; the first thing that would need to happen is for the car to be computer-controllable. This is relatively straightforward, but it’s not as easy as you might think. The computer driving the car has to take over all the tasks that a human driver would handle- it would need to turn the wheel, use the brake and accelerator, start the engine and use the gearshift. In the so-far experimental driverless car, the above tasks are handled by motors. One is mounted so that it turns the steering wheel, and another is used to depress the pedals, and so on. It’s not the most refined solution, but it works, and as automotive technology advances, drive by wire systems are becoming more common. Self-driving cars can’t operate without sensors (here’s where things get complicated). A human’s eyes are the only sensor they use when driving; the human eye is able to determine if obstacles are present, how far away they are, their size, and whether they’re moving. Humans can also process what they’re seeing- for instance, if they see a brick wall, they know it’s not going to move suddenly (but a child playing on the sidewalk is a different story!). As much progress as computer vision has made, it’s still nowhere near what humans have, therefore driverless cars rely on a bank of sensors for their information. They have camera vision systems used to spot obstacles, road signs and other cars, but almost all are equipped with GPS sensors for greater accuracy in location and orientation. Many driverless cars have laser scanners that sense the distance of nearby objects, and quite a few have radar and infrared systems. All of the above sensors are linked to an onboard computer that processes their data. This computer can use a vast database of maps and information; the self-driving car’s engineers will pre-program all road markings, crosswalks, traffic lights, signs and other things that the vehicle may encounter along a specific route. The car will “know” what to expect, and it can adjust accordingly. If driverless cars are ever available for purchase, the only thing you’ll ever need to do is to find some cheap private number plates! The cars’ onboard computers can also communicate with other, larger computers that store even more extensive data. Driving seems simple to humans- you may wonder why a computer would find it so difficult. As far as our brains are concerned, looks are deceiving. One human brain has more computing power than the largest, fastest supercomputer, and that capacity is part of what makes driving so natural for us. In just a few decades, technological advances will bring computers that pack the same kind of power into small, usable packages. This article was written by James Harper on behalf of The Plate Market, retailers of cheap private number plates who could help you find your next set of cherished number plates. Follow this link to their website to see what cheap private number plates they have which could become your next cherished number plate.